small circle shirt［white］ ｜ caart. medium circle shirt［white］ ｜ caart. medium circle shirt［gray］ ｜ caart. 2color panel shirt［gingham］ ｜ caart. 2color panel shirt［white］ ｜ caart. bi-color shirt［white navy］ ｜ caart. small circle shirt［navy］ ｜ caart. 2color linear shirt ［navy］ ｜ caart. 2color linear shirt ［white］ ｜ caart. 2color linear shirt ［light blue］ ｜ caart. frame shirt ［light blue］ ｜ caart. 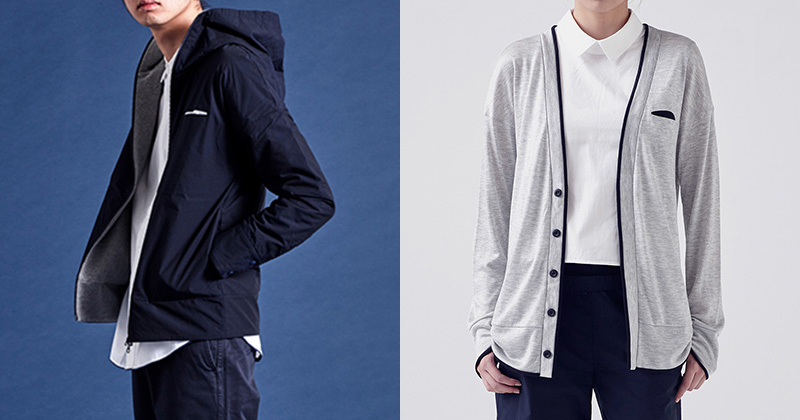 high-necked hoody linear pocket jacket［navy（inside gray）］ ｜ caart.